Corter Moon: Facet Jewelry Box LAUNCH! I'm a long-time lover of anything that has to do with jewelry. I love everything about it. The sparkle, the shine, the shimmer of the beads! Oh, the beads, how I do love thee! I make jewelry, and I enjoy every second of it. You should see the collection of beads that I have! I swear I need a room dedicated to just my beading addiction! But I'm getting ahead of myself here. I'm here to introduce you to a brand-new subscription service that just launched not too long ago. 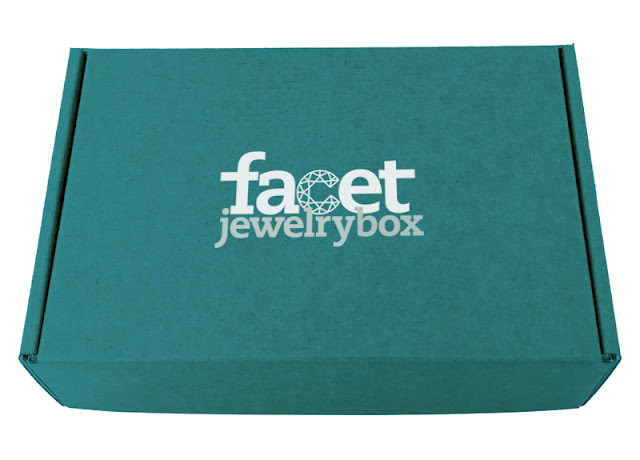 Facet Jewelry Box is a box made for those who are interested in creating beautiful jewelry pieces! Needless to say, I'm terribly excited for this new box and I am so excited to try them out! Each month, you will receive supplies and materials, enough to make two beautiful pieces of jewelry. Along with that, you receive step-by-step instructions, gorgeously illustrated how-to photos and tips from the experts at Facet Jewelry and Bead & Button! This box is a wonderful way to get friends and family into the joy of jewelry making. With everything provided by Facet, it makes it easy to get your hands into this wonderful craft. Or you can give the gift of jewelry making! Facet Jewelry Box makes a wonderful gift! Signing up is easy as 1-2-3! First, you choose which box you would like, Quick & Easy Stringing or Bead Stitching. Next, you choose what subscription plan works the best for you. After that, you eagerly await for your box to arrive on your doorstep, and you start creating! It's that simple! Use the link posted below to join (or gift) today!